The Alabama Crimson Tide offense started off with a three and out on their first series. They got the ball back in great field position because of a 4th down stand by the defense and the offense needed two good plays and one key penalty to get on the scoreboard first against the Clemson Tigers. 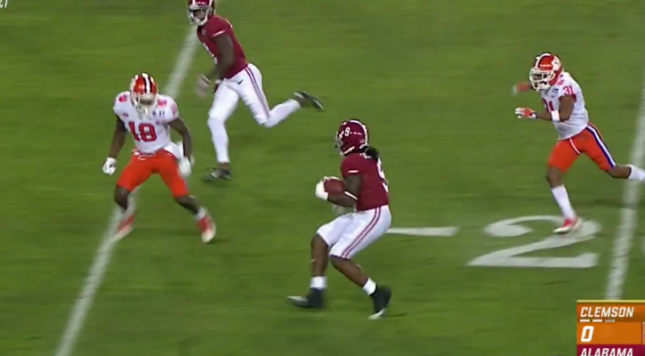 Here’s the run by Bo Scarbrough that put Alabama up 7-0 on Clemson in the CFP National Championship Game….